Our research has revealed that it is possible to convert iron sulfide mineral wastes (pyrrhotite and pyrite) to elemental sulfur to prevent acid mine drainage using tank bioleaching technology while simultaneously dissolving entrained base metals from which pure metals can be recovered . Because oxygen will oxidize sulfur to sulfate, to prevent sulfate production the leaching process must occur either in the absence of oxygen or using microorganisms that can catalyze the oxidation of iron, but not elemental sulfur. Bioleaching of sulfide ores in heaps has great potential for the extraction of valuable metals including Cu, Zn, Ni, Co, Ag and Au. In fact, heap bioleaching is currently used at over 300 locations worldwide in warm climates and on low-grade ores as opposed to concentrates. In-situ bioleaching has the potential to be a passive technology that can be applied to not only recover residual metals but also mitigate long-term acid mine drainage potential in mine wastes . Although the exothermic reactions of the pyrite oxidation maintains the inner heap temperature above 0°C in cold climates, low sulfur containing wastes may not be able to maintain temperatures to support mesophilic or thermophilic microbial growth. As such, cold-adapted organisms could provide the catalytic power of treating mine wastes in colder climates. Furthermore, oxidation reactions occurring at circumneutral pHs or in anoxic or micro-aerobic environments have been largely ignored to date and are important in understanding alternate bioleaching pathways. In our research, we will aim to address the knowledge gaps in the mining industry by developing decision-making processes with optimized bioleaching technologies for their wastes that vary in sulfide mineralogy, weathering extent, and metal content. Management of sulfur and selenium oxyanions that contaminate mine waters requires using reductive processes for biological removal. Biological processes show great promise as they produce a more stable and compact residue than that produced in the current chemical precipitation treatment, and are more cost-effective. Sulfate-reducing bacteria (SRB) are tolerant of a wide range of environmental conditions including low pH , high salinity, and low temperature, and are very suitable for use in bioprocesses for sulfate reduction. 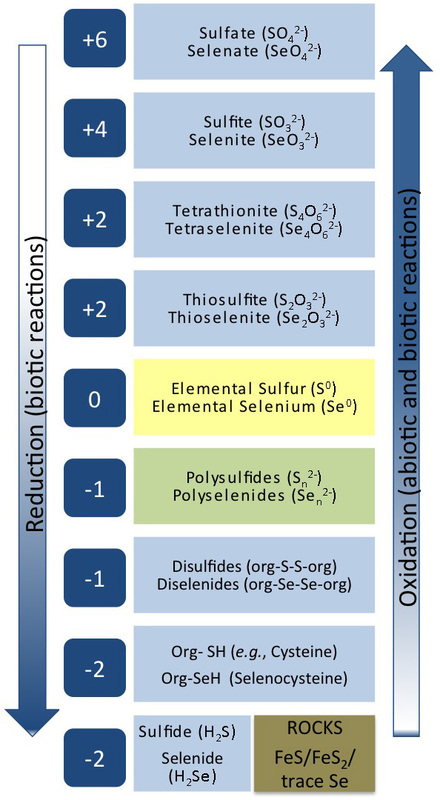 Since selenate must be reduced to much lower concentrations than sulfate (2 µg/L versus over 100 mg/L), it is a greater challenge to find reliable treatment processes for removing soluble selenium oxyanions from mine drainage, particularly in the presence of co-contaminating compounds such as sulfate and nitrate. 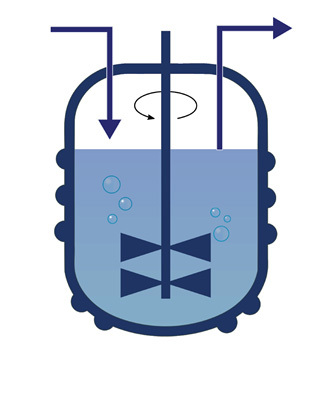 Current practice is to use microorganisms from other types of wastewater treatment processes or a commercial supplier to inoculate the mine bioreactors. These organisms may not be well-adapted to the mine water and we have found that a completely different microbial community evolves. Recent experiments by our team have revealed that microbes indigenous to a coal mine site reduced selenate and selenite without inhibition from nitrate with kinetics faster than the denitrifying sludge typically used. It is our hypothesis that the local mine environment will provide microbial consortia better suited to reliable reductive processes. But, while the biochemistry of sulfate-reduction is well studied, few studies have characterized the enzymes involved in selenate-reduction. Thus, gaps remain in knowledge of biological selenate-reduction and how to maintain the stability of bioprocesses to reduce sulfate and selenate at mine sites.